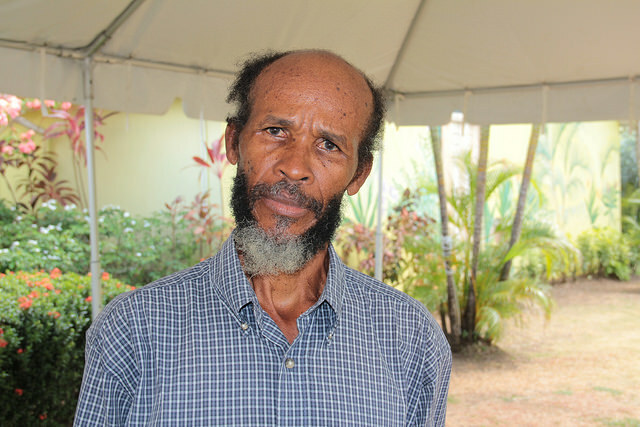 CASTRIES, Jun 2 2015 (IPS) - St. Lucian farmer Anthony Herman was hoping that next year he’d manage to recoup some of the losses he sustained after 70 per cent of his cashew crop withered and died in the heat of the scorching southern Caribbean sun. But on June 1, the beginning of the Atlantic hurricane season which coincides with the rainy season, the 63-year-old man, who has been farming for four decades, received “frightening” news about weather conditions in the region over the next year or so. The 2015 wet season in the Caribbean, which runs from June to November, has been forecast to be drier than normal and a similar prediction has been issued for the 2016 dry season. This follows on a drier than normal dry season in 2015. “It is frightening,” Herman tells IPS on the sidelines of the Regional Climate Outlook forum for the 2015 hurricane season being held here June 1-2. Herman, who is board secretary and project coordinator at the Bellevue Farmers Cooperative in Choiseul, in southwestern St. Lucia, says he will summon directors to devise a response plan. “When we hear of the threat of drought that’s going to be lengthened this year and going into next year, this to me, is frightening,” Herman tells IPS. “Frightening in the sense that I don’t think that we, as a government, we as a people have created the resilience that is necessary to combat drought. The water infrastructure that is necessary is not available, or where it is available, it is in patches,” he says. 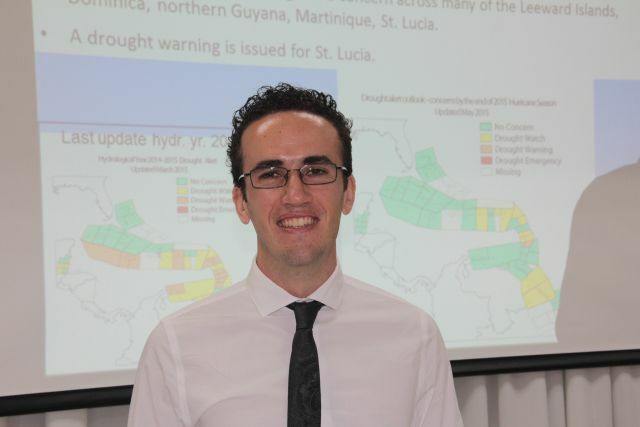 At the two-day forum, organised by the Caribbean Institute for Meteorology and Hydrology (CIMH), climatologist Cèdric Van Meerbeeck puts the forecast into perspective by referencing 2009, a year when extreme dry conditions triggered widespread water rationing across the region. Trinidad and Tobago, Grenada, Barbados, St. Vincent and the Grenadines, St. Lucia and Guyana recorded their lowest six-month rainfall totals (October 2009 to March 2010). “It doesn’t mean it is going to be the same like 2009 and 2010, but if it is going to be a year, it is going to be this year,” Van Meerbeeck said of the forecast dry spell. “Temperatures are going to feel hotter than usual and that is pretty much throughout the Caribbean,” Van Meerbeeck told the gathering of meteorologists, natural disaster managers and other stakeholders from 25 Caribbean countries and territories. He said there is probably going to be less rainfall accumulating for much of the region, even as The Bahamas, Belize and The Guianas are expected to see higher rainfall as a result of El Nino. “If we are going to get a wet season that is drier than usual, we are already starting to be worried about the next dry season,” Van Meerbeeck said. Herman shares Van Meerbeeck’s concern, telling IPS that the municipal provider of water for commercial and domestic consumers in St. Lucia is already “under pressure because, at the minute, a number of persons are using that water for farming purposes. Herman knows too well the importance of a risk reduction management plan, having been robbed by the dry conditions of almost three quarters of his cashew crop, some 5,500 dollars this year, a substantial amount for a small farmer. “The flowers dried out and they were not able to be pollinated and even where they were actually pollinated, the small cashew literally burnt and that has caused me great economic loss,” he tells IPS. The loss was not limited only to the cashew nut themselves, as the fruit is an important input on Herman farm, where he keeps about 40 goats. “I didn’t get to sell cashew so it is less resources, so I have to dip into my other sources of revenue, which is vegetables,” he lamented. Leslie Simpson, natural resources management specialist at the Caribbean Agricultural Research & Development Institute, sees the forecast as “serious news” for agriculture in the region. “More than 50 per cent of our agriculture is rain-fed. … So it is going to affect agriculture, particularly small farmers, who are the ones who cannot afford irrigation at this time,” he tells IPS of the forecast. “I operate out of Jamaica and last year we had a really serious dry spell in the rainy season itself and it affected agriculture to the point where the overall effect was felt in the whole economy. So to hear that we are in for a similar situation is very heartrending at this point,” Simpson tells IPS. In 2014, the Jamaican economy lost nearly one billion dollars as a result of drought and brush fires caused by extreme heat waves. But like Van Meerbeeck, Herman sees the early warning as an opportunity to take steps to mitigate against the severe weather, which climatologists say is as a result of human-induced climate change. “What we really want in the long term is to be able to mitigate the adverse impacts of climate change and use the benefits of climate change, because it is not all negative, but largely, we don’t know what the positive effects will be at this stage,” Van Meerbeeck tells IPS. “When you build mitigation strategies on drought, on heat waves, on wet spells, etc., — those things that really impact us now — then we are automatically building the human capacity and the technological capacity to confront the challenges further down in time,” Van Meerbeeck says. “Whether or not they are exacerbated by climate change, many of them will get worse with climate change, for instance, droughts will get more frequent by the end of the century. But if we already know how to respond to that now, it will be much, much easier and cost us much less to respond to them further down in time,” the climatologist says. 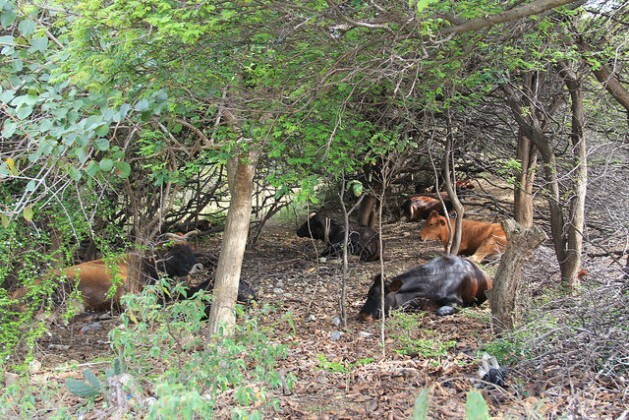 But with any cashew crops and a herd of goats at risk, Herman is already considering a short-term plan to process wastewater and use it for irrigation. “I am not a pessimist, so I want to see this situation as an opportunity to do other creative things for the sector,” he tells IPS.